Five theaters, box office, concessions, and a gathering space. Take a look at our 15th Anniversary Timeline, including video clips of special guests. The JBFC Theater box office opens one hour before the first screening and closes 15 minutes after the start of the last scheduled film. We are open 365 days a year. at the box office, which opens one hour before the first screening and closes 15 minutes after the start of the last scheduled film. online ($1 per ticket surcharge) Questions? Check the Ticketing FAQ. Prices for speaker and special events vary. Please check the listings or inquire at the box office. We believe that going to the movies should be a shared experience-that’s why we offer reduced ticket rates for groups of 10 or more. 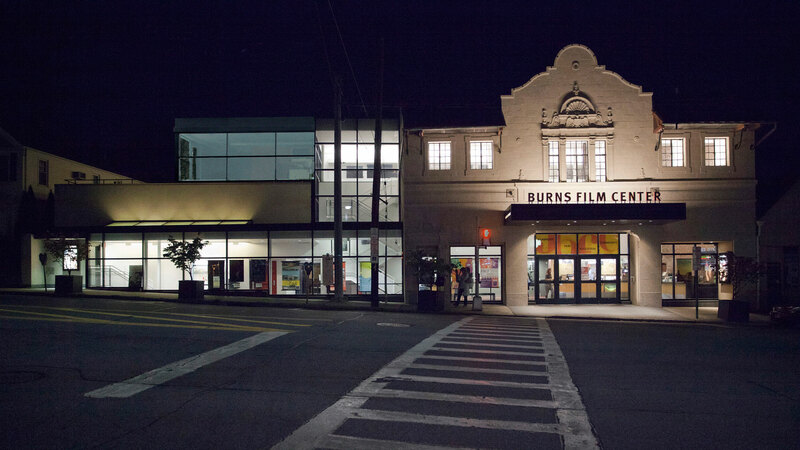 With over 400 films every year, we can guarantee that alumni groups, senior centers, community organizations, and more will all find something to see at the JBFC. Discounted tickets are available at a group rate. Group sales must be booked in advance by calling 914.773.7663, ext. 6 during business hours (Monday–Friday, 9:30–5:30). A minimum of 10 tickets is required for a group sale, with some flexibility depending upon the event. To ensure everyone’s enjoyment of our films, children two and under are not allowed inside the theaters. We appreciate your cooperation. Theater One: 250 seats, a stage, and adjustable acoustics suitable for events such as live music recitals, readings, lectures, and panel discussions. Theater Two: 136 seats (left). Theater Three: 70 seats (right). Theater Four and the Adam R. Rose and Peter R. McQuillan Theater: With 41 seats and 31 seats, these two gems opened in March 2015, marking the end of the first phase of our Building on Success, Fulfilling a Promise to our Community campaign. 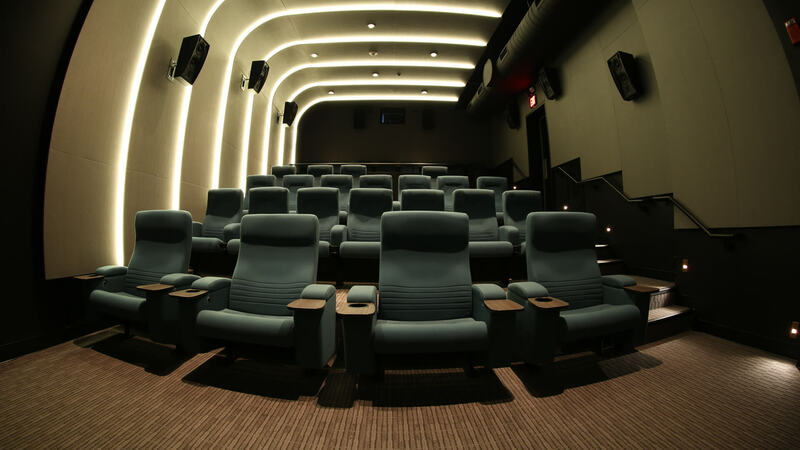 Located on the upper level, they offer unparalleled opportunities to dive deep into film viewing and intimate discussion. Jane Peck Gallery: A large open space where you can enjoy receptions, exhibitions, and other events. The Jane Peck Gallery is open the same hours as our box office. The Gallery may be closed for special events. At this time, we are not accepting unsolicited proposals for exhibitions. Want to know more about the facility? Email rentals@burnsfilmcenter.org. Please keep in mind that your actions can affect your neighbors’ experience. Please refrain from talking and using your phone during the program so that everyone can enjoy all our programs. Please refrain from any disruptive activity while in our theaters; we reserve the right to ask any disruptive audience member to leave the theater. Unredeemed tickets for sold-out special events may become available for purchase at the last minute. Sign up at the box office for the stand-by line one hour before showtime. Members get priority! Discounts are available to groups of 10 or more. A minimum of 10 tickets is required for group sale; there may be some flexibility depending upon the event. Group tickets must be purchased in advance through our Executive Offices during business hours (Mon.–Fri., 9:30–5:30. Please call 914.773.7663, ext. 6 ) for information. Ticketholders are eligible for a full refund if we cancel a screening or special event. Bring your ticket to the box office for a refund—or, if you purchased your ticket online, we can take care of your refund over the phone (914.773.7663, ext. 6) on weekdays (9:30–5:30). To request handicapped-accessible seating in any of our five theaters, please call 914.769.6070, ext. 3 and speak with a manager on the day of the screening for which you have purchased tickets. All theaters are equipped with a hearing loop system, which works with an individual’s own hearing instrument or cochlear implant to enhance audio during films and discussions. Moviegoers with hearing loss who do not use hearing instruments can enjoy better sound with a loop receiver and headphones that are available at the box office. Use the cards like cash to pay for tickets, concession items, or merchandise at the Theater or to purchase tickets online. We’re happy to mail them—either to the recipient (with a silver notecard and your personal message) or to you (with a blank notecard)—but please don’t ask us to guarantee arrival by a particular date. Gift Cards may not be used to purchase JBFC memberships. Not only does membership help support our nonprofit, it entitles the recipient to a discount on tickets, access to members-only events, complimentary ticket offers, and more! Purchase a Gift Membership at the Box Office or on the phone at 914.773.7663, ext. 6, weekdays 9:30–5:30. We’ll send your Gift Membership directly to the recipient, along with a gift message from you. Learn more about membership before making your purchase! Allow 7–10 days for processing, and please don’t ask us to guarantee arrival by a particular date. Visit our theater to check out the array of choices available at the concession stand.